Tonight, Ed Sheeran will be playing the biggest gig of his life: headlining the Pyramid Stage at the best festival in the world Glastonbury. So I thought it would be appropriate to write about what I think of him and his music! Before I go any further, however, I just want to say that I am a fan of Sheeran. Though this has changed ever so slightly after the release of his third record Divide. Divide was, according to his good friend Amy Wadge, supposed to ‘break the internet’. It did. Every song on the record made the top 20 in the UK charts and broke streaming records on every streaming platform. It even sold 232,000 copies on its first day in the UK, and that’s not even including streaming numbers. Incredible for such a poor record. I was so so disappointed with Divide, I expected so much more from Sheeran especially how he had spent a full year away to make it. 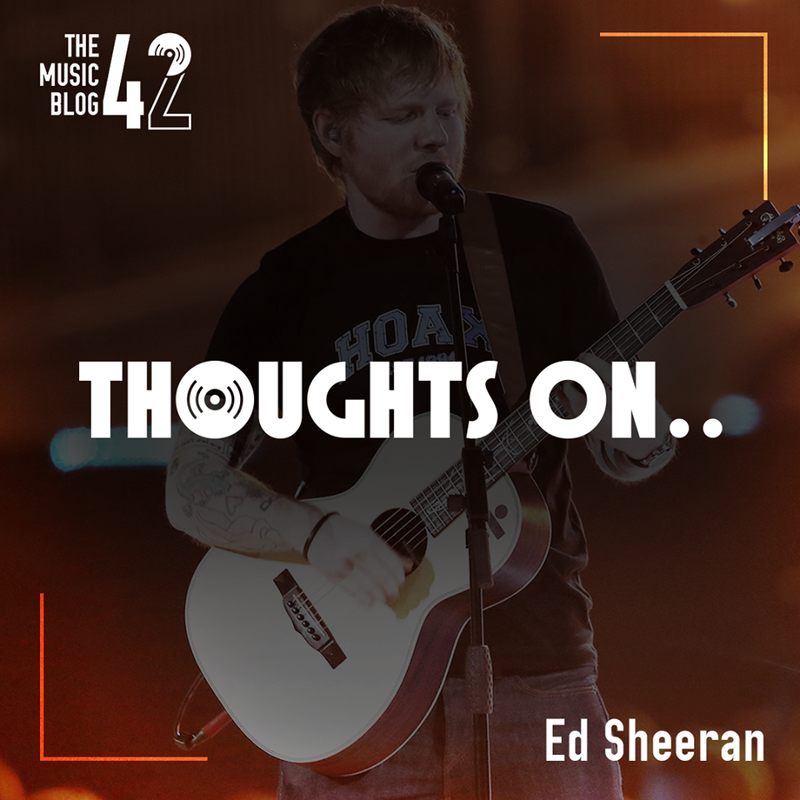 The biggest song from his second record Multiply was without a doubt Thinking Out Loud, the cheesy ballad played at every wedding up and down the country from 2015, and it’s a shame that he has basically made another six of them throughout Divide. I admit that there are some great tracks on Divide, Castle on the Hill and Supermarket Flowers stand out for me as ‘proper Ed Sheeran songs’. But if you pull out tracks like Perfect, Happier and Hearts Don’t Break Around Here, you can tell that these are just rip-offs of his previous success. And don’t get me started with Galway Girl, the most annoying catchiest ear-bleeding song of 2017. I’m not a huge fan of the direction he is going in. Especially as his debut record Plus is one of my favourite records, and in a way Multiply is too. I really like his lesser-known songs to his more popular songs. Just listen to I’m A Mess (from Multiply) and you will truly understand where I’m coming from. And when you have the chance, listen to his previous EPs. There is some gold on there. The No.5 Collaborations Project is absolutely fantastic, Sheeran’s brush with the Grime scene, with surprising collaborations with grime artists like Devlin, Wretch 32 and JME to name but a few. There’s no denying that Ed Sheeran will keep up his meteoric rise. His next record will break records again, and he’ll still charge £80 for an upper tier ticket for his gigs. But he really needs to get back to the sounds of Plus and more so Multiply otherwise he’ll lose every bit of credibility he still has.